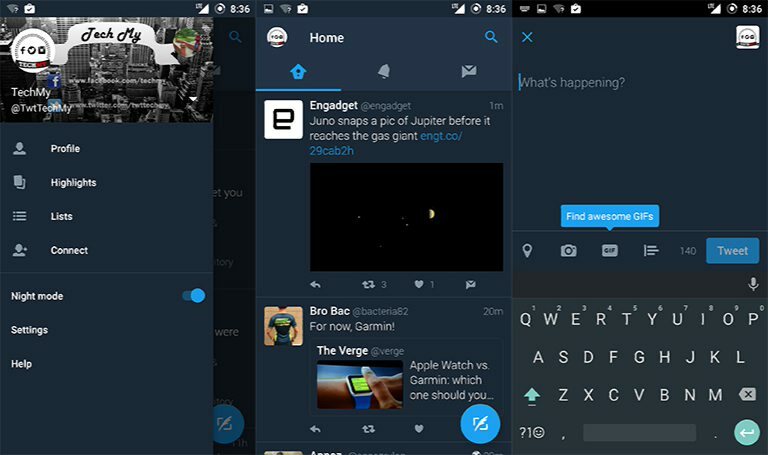 Today, Twitter is releasing night mode feature for Android users. Night mode turns most of the interface from white to deep blue. To enable night mode, there’s a toggle in the app’s slide out menu that lets you turn night mode on and off. Automatic night mode is not available. Night mode is a new trend in apps now. Microsoft will enable night mode on Windows 10 with Anniversary Update. Upcoming macOS Sierra will also feature night mode.